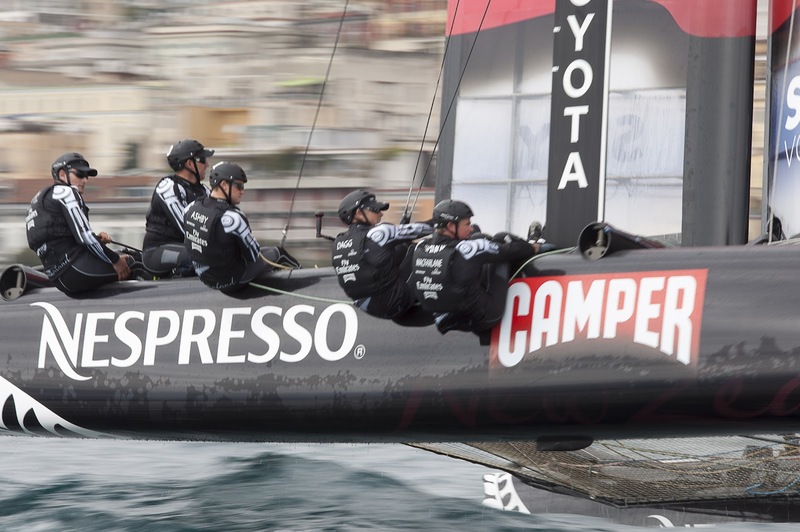 Emirates Team New Zealand’s good record in the fleet racing championship of the America’s Cup World Series, Naples, came to naught on the last day. Going in to the start on 52 points with four wins from six races, the massive scoring of the final race (50 points for the win then 30, 20, 20, 15, 10, 9, 8, 7, 6 – compared with 10 for the win during the week) skewed the final result. 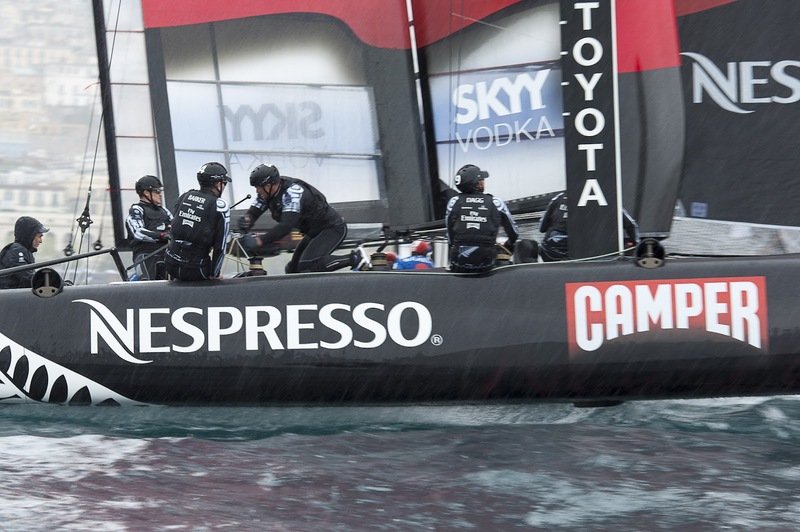 Emirates Team New Zealand went in to the final day on 52 points, five ahead of Oracle Racing 4 and 10 ahead of Luna Rossa Piranha. The weather was very light - not exactly Emirates Team New Zealand’s favourite conditions – and a bad start (being shut out by Luna Rossa at the committee boat end of the line) meant we languished towards the back of the fleet. In the conditions – three knots of breeze at the start - there were few passing lanes. 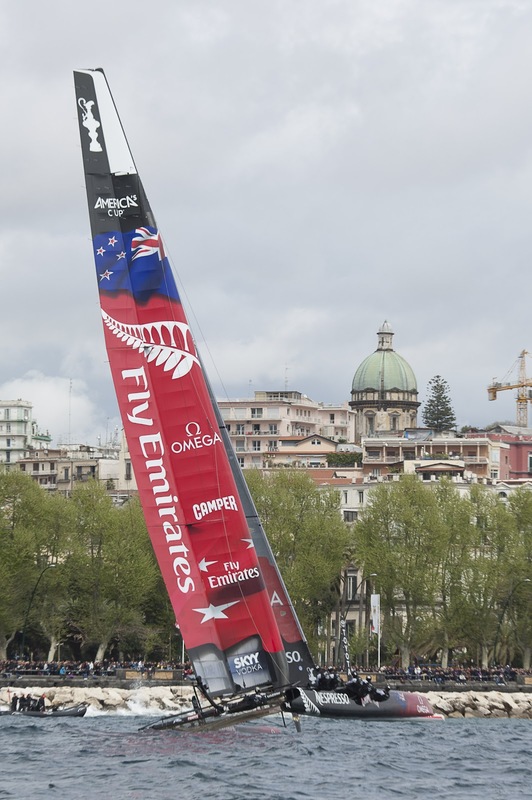 Emirates Team New Zealand finished seventh to collect eight points. 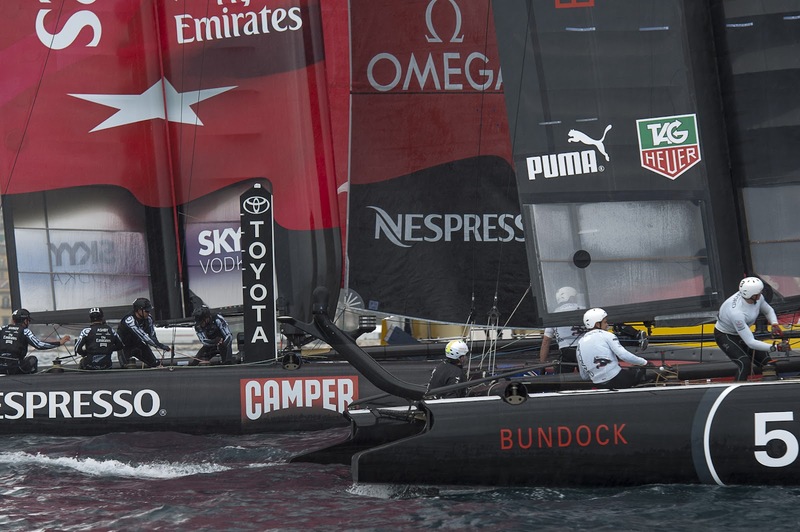 Luna Rossa Pirhana won the race to collect to 50 points, catapulting them to 92 and top of the leader board for the ACWS fleet race championships at Naples. Oracle Racing 4 was second on 77 and Emirates team New Zealand on 60 points was third.